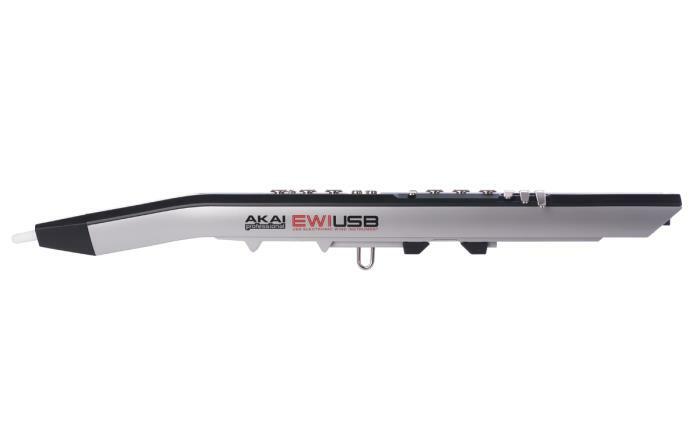 The Akai EWI USB is an easy, fun-to-use digital wind instrument that has the power to produce over 75 different orchestral, concert band, jazz band, and synthesiser sounds. 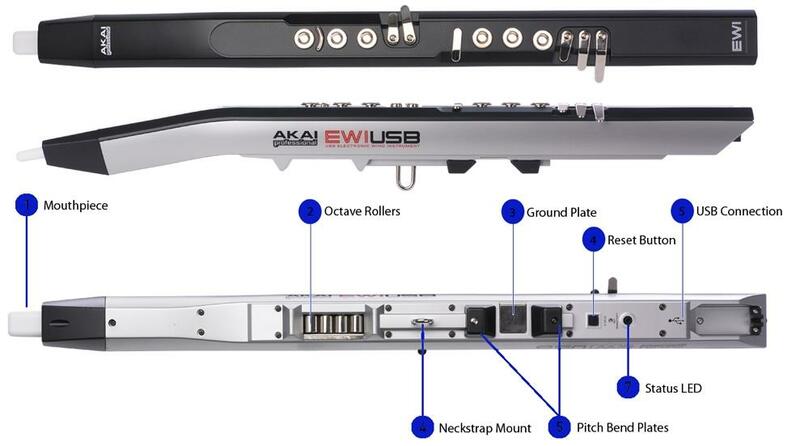 The layout of the EWI USB is very similar to the EWI 4000s & 5000, also by Akai. 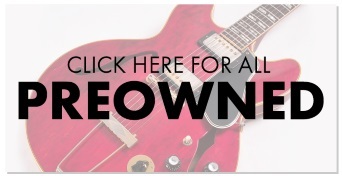 The difference between the EWI USB and other electronic wind instruments that have come before it is it's built-in USB interface, this allows the user to simply load, play and listen to sounds by simply connecting it to a PC or Mac. 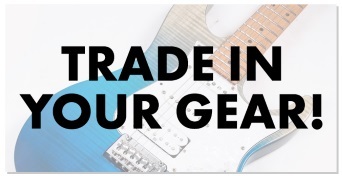 The Akai EWI USB falls in to a different price range compared to a lot of digital wind instruments, usually you'd find high-end, professional instruments and at the other end of the spectrum, toys. The EWI USB meets nicely in the middle with professional sounds, robust build and affordable price. For a MIDI Implementation Chart, please refer to the EWI USB Quickstart Manual under the "Docs & Downloads" tab. Dimensions: 23 1/8" x 2 3/4" x 2 3/4"